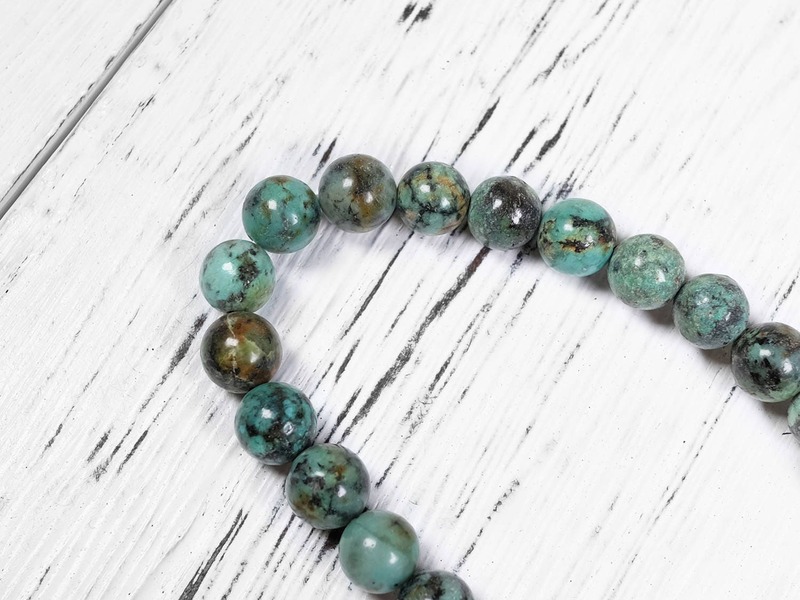 Despite of its name, african turquoise is a turquoise substitute. 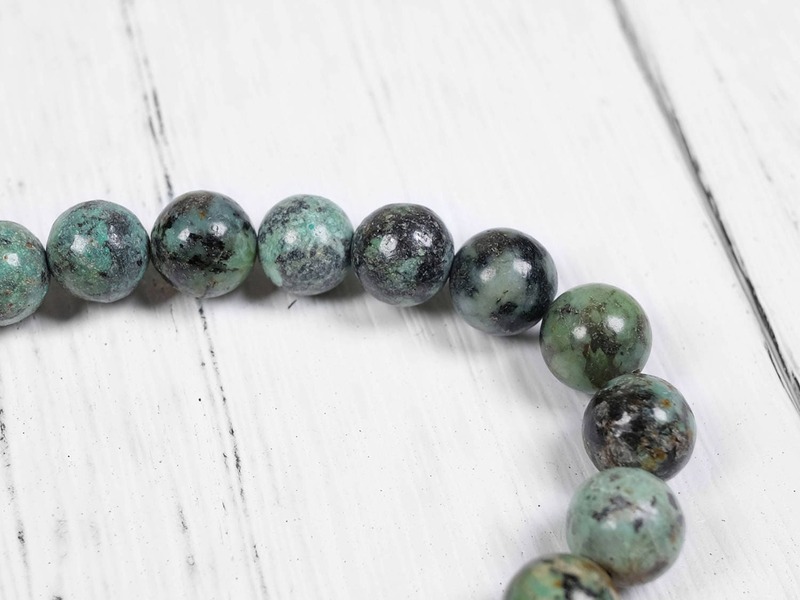 It is a natural jasper stone. 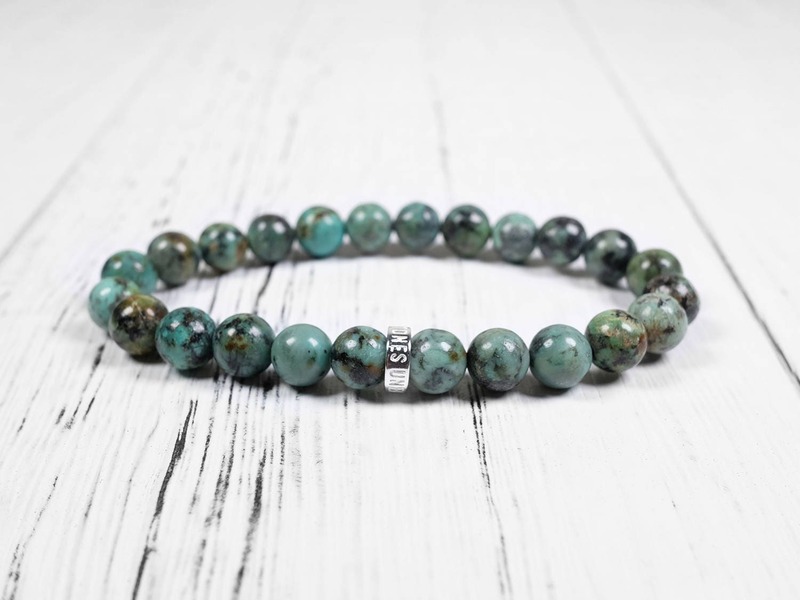 That being said, african turquoise is beautiful in its own right. 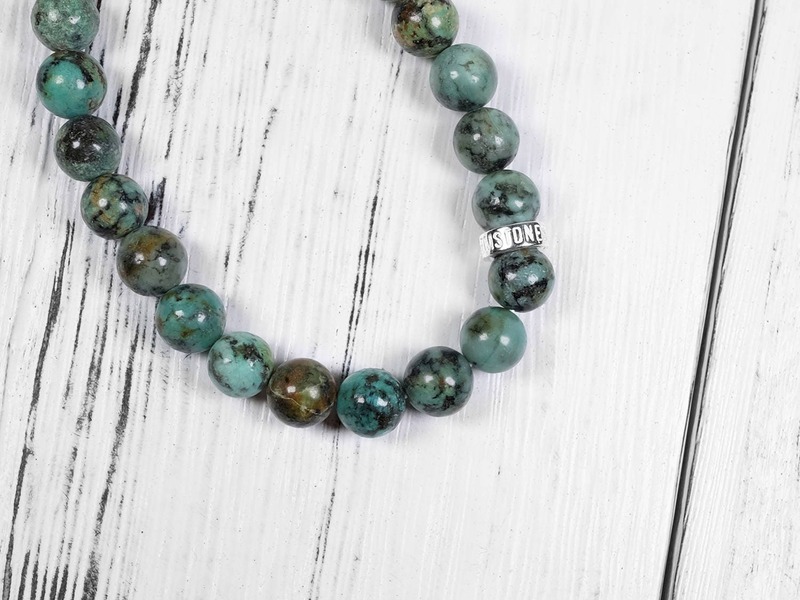 The green-blue colors with the black web-like pattern makes the gemstone look unique and earthy. 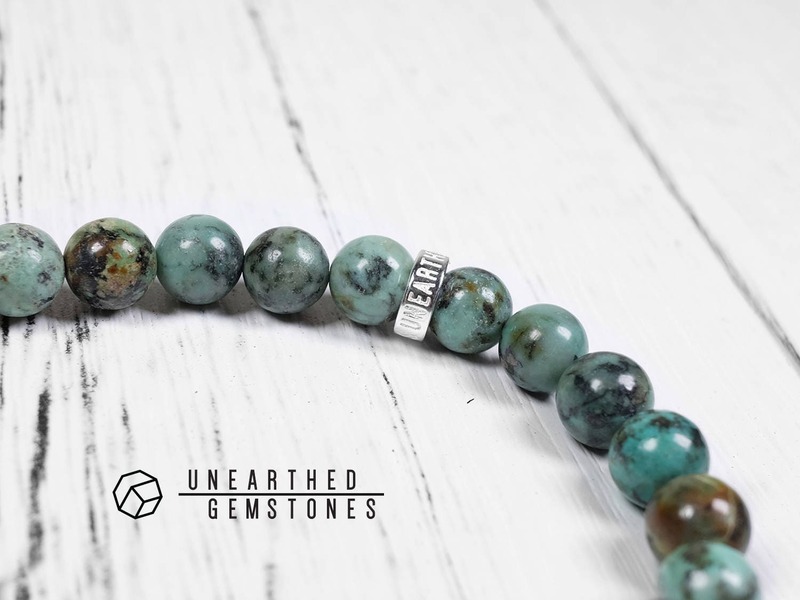 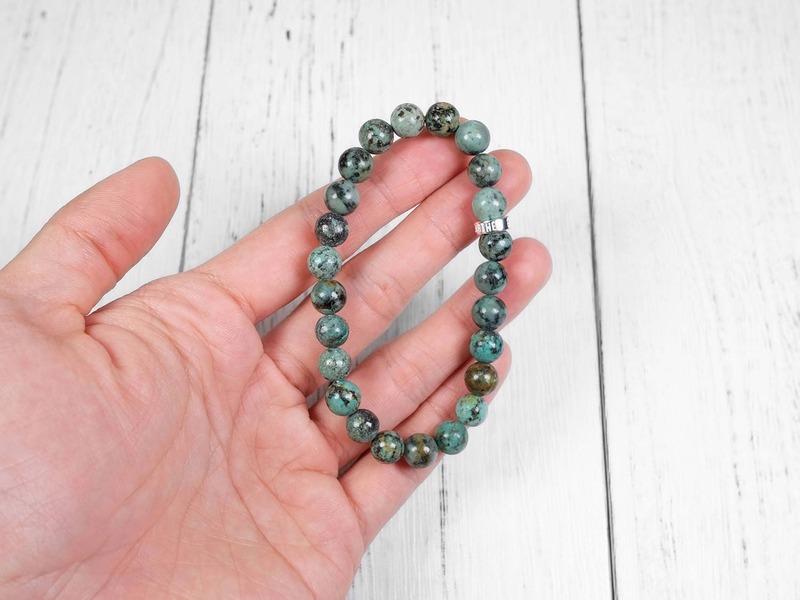 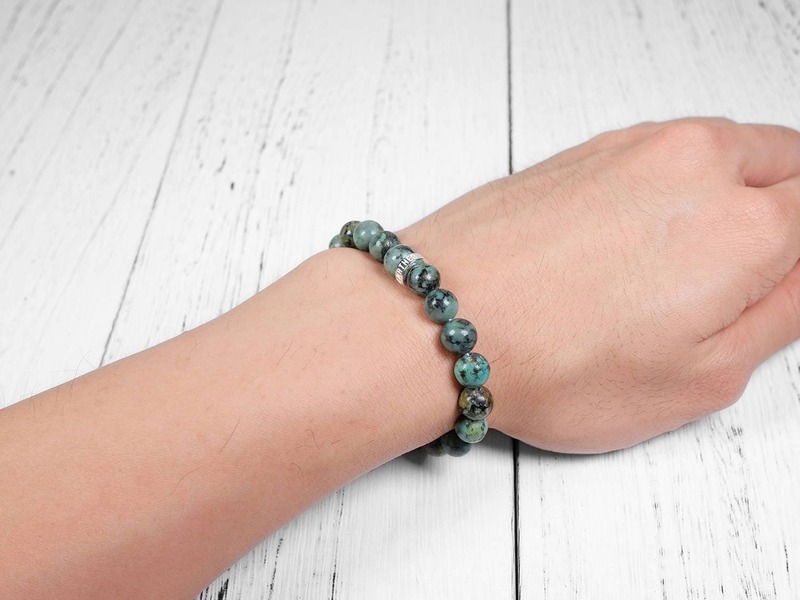 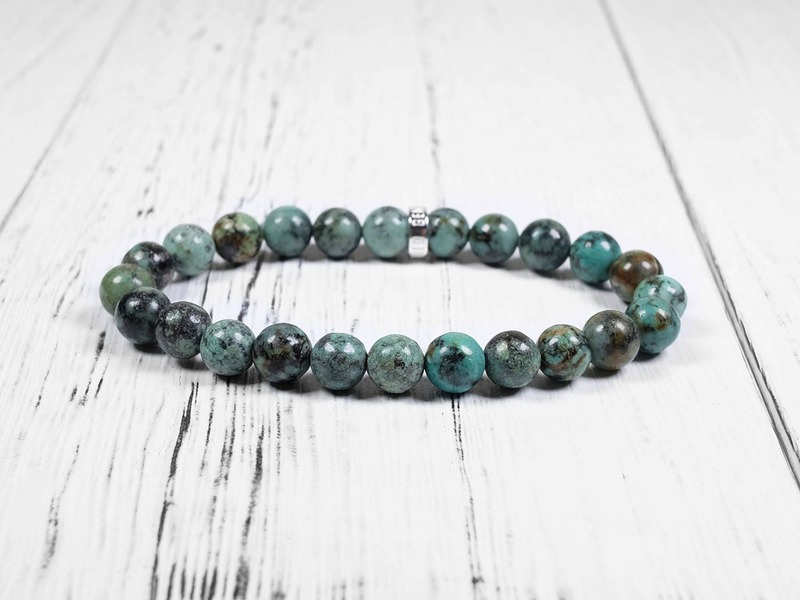 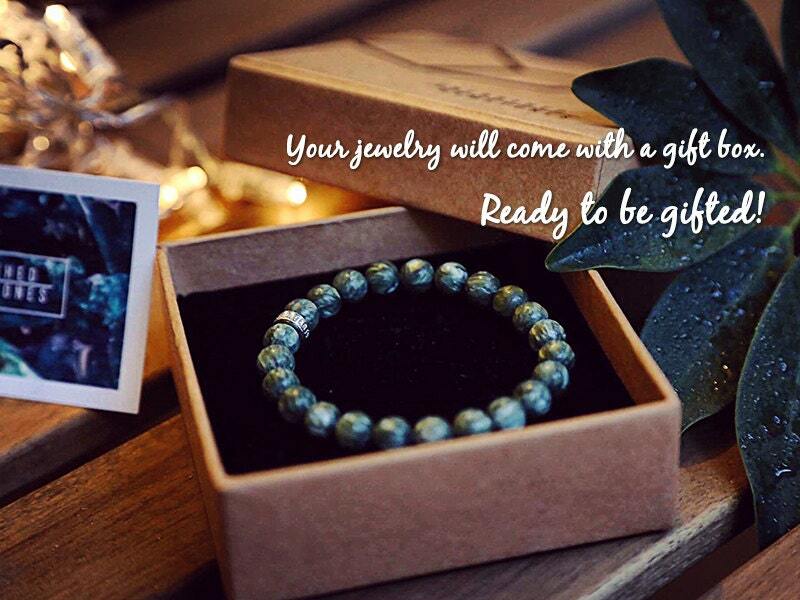 If you are looking for a natural day-to-day bracelet, this will be a great choice.